In the film “Free Willy “ it was the children that saved the whale, not the adults. In exactly the same way, it is the children of South Africa that can save the country and its future. Literacy is essential and the basis of all ills – health, poverty, wrong information, a better education, and so on. Writing actually comes before reading. Someone must have written something before it can be read. Children are not just little adults. They operate and think entirely differently and resist adult intentions of all kinds – especially those aimed at “making them better people.” But they totally understand each other, no matter the culture or social background. They enjoy knowing each other’s social and personal problems and will avidly read stories by other children. Children read differently. They do not need bridge passages. Adults, with their need for logic, put them in. This spoils the reading for children and diminishes self esteem as a child is sensitive if an adult alters a child’s work like this. At umSinsi Press cc, we are purists. Our editors are trained to retain the voice of the child. Language in the written form is regional language – how language is used in speaking. We need to remember the goal of getting children to read is for the fun that reading gives to the reader. On this basis, education can proceed, leading the child from his or her “known” to his or her “unknown”. Right brain creative writing needs a paradigm shift for educators hence the need to train them first in non-judgmental, non- critical teaching methods. Gaps of ignorance they notice in the handwritten work are used as the basis for further lessons in grammar, spelling, sentence construction and other elements basic to the process of education. A love of reading and of education is a sure outcome. Right brain creative writing raises literacy levels. Dancing Pencils Writing Clubs develop ethical leaders because other children read and believe what their peers write – power is in the pen, power in the hands of the children will lead the other children into the realms of literacy. 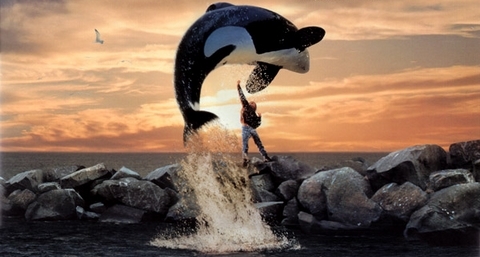 Like Free Willy, the country will become really free. Dreams of a better life for all, starting with those children as they grow up, will materialise. Sponsors will help the children to help each other. And all of us too. contact us on : www.info@dancingpencils.org.za to help.